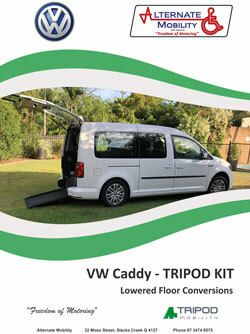 The VW Caddy Van is the perfect solution for a family needing to transport a wheelchair. As a vehicle, Volkswagon have a terrific reputation and warranty, with service and repairs available country-wide. We appreciate that the vehicle is an expensive investment that needs to last for many years. The main component used is STAINLESS STEEL, something that won’t rust or corrode. This is the part that appeals to me personally. Over the years, I have seen plenty of modified vehicles and many are fabricated utilising mild steel, which often rusts. We also rust proof any other areas necessary. 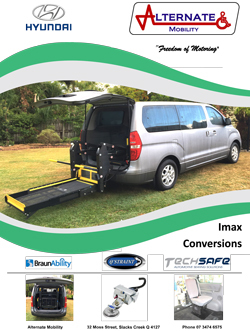 Easy to operate, compact & lightweight ramp. Hydraulic kneeling suspension (Automatically rises when door is closed). 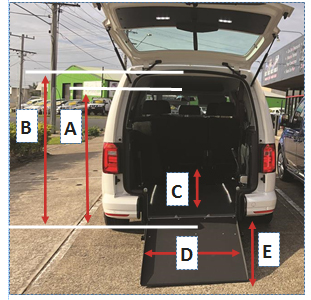 Ramp is short due to the above feature, which is perfect for shopping centre car parks. Deep and level, full stainless steel inner floor assembly (light weight and rust free). 60 litre custom made stainless fuel tank to accommodate the floor. Utilises the full original bumper bar and sensors. Strong stainless steel inner side walls to protect from wheelchair damage. Spare-wheel is mounted on the left hand side with a cover. 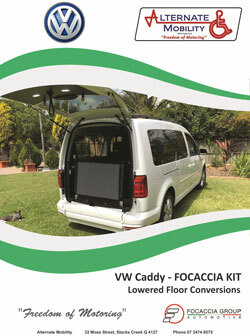 Front Electric restraints -”Slide & Click “rear restraints –Retractable Sash Belt. HAVE ANY QUESTIONS OR QUERIES? 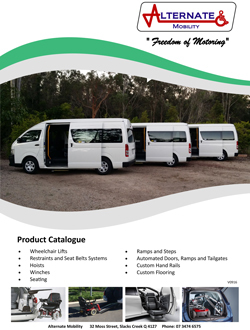 CALL US ON (07) 3474 6575 – OR FILL OUT THE FORM BELOW AND ONE OF OUR TEAM WILL GET BACK TO YOU SHORTLY.